Material quality – I was looking for a material that was able to take a lot of punishment and feel tough, as it would be moved around from place to place and did punishment from the weather. Quality structure – It was also important when it’s set up that it could hold a strong and stable structure even when under pressure from the wind and the rain. 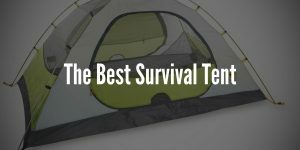 Ease of use and set up– Some tarptents can be a bit tricky to set up – the few I have included below are some of the easiest to set up which is a very important feature and sometimes it overlooked when buying a tarptent. Waterproofing – Again it’s important that they are waterproof no matter what. Usually the main reason a tarp tent is to be protected from the wet and the rain so of course waterproofing that works perfectly is essential. 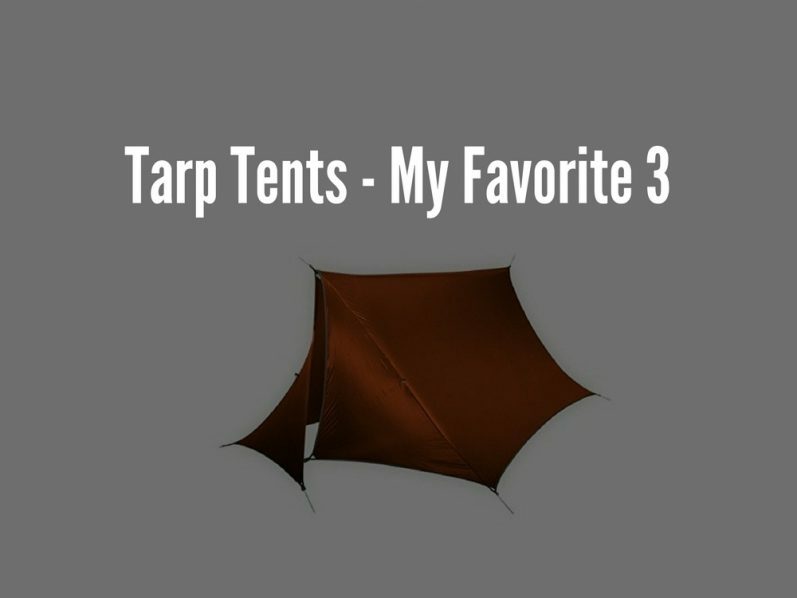 The main reason I included this in my top 3 of my tarp tent reviews is that I like this tent tarp is because of the material that it is made from. It’s made from a Polyurethane nylon material that has been treated to offer the utmost protection from the rain along with being a rip stop material which basically stops it from being ripped or damaged due to the material. It’s the perfect material for durability. Everything I need is included like the ropes and the stakes which means no need for purchasing extras. In terms of its size once it’s set up, you could easily have 2 seated adults underneath it in heavy rain and both of them would stay dry as a bone! In terms of portability this tarp is a great option, it won’t use much space in your backpack even with all the extras that are included, definitely a solid option for someone like a backpacker or hiker. You get all of these features at an affordable price point, it’s definitely the best option for someone who’s on a bargain without any compromises. 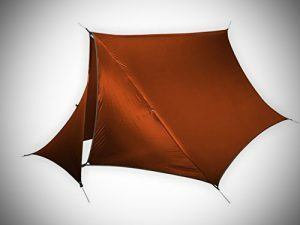 This tarp has the ability to offer more sideways protection and is more similar to a tent in that regard. 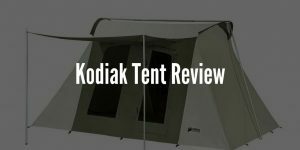 This option has a door like a backpacking tent would and is an ideal size for 1 or 2 people to fit inside. I feel it is the perfect option for someone who is for example backpacking and wants to set up camp for a shorter time to take a break or eat something for example. It’s really ideal for something like that. It is very good for using in warmer weather as there is a rear window which is handy for ventilation and also be can used as a stove exhaust as well for example. The material is made from a 40d nylon coating which proves to be fully waterproof in the heaviest of storms. The set up may take a few times to get fully acquainted with how it works but once you have it done, it will be pretty simple and easy to set up. 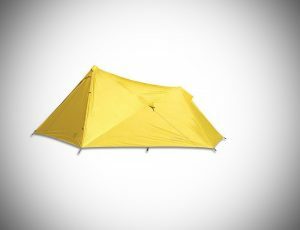 This tarp tent could definitely be a replacement for backpackers that are camping in a warmer climate, And because it’s especially lightweight, very portable and easy to carry in a backpack. When it comes to tarp tents in general this has to be my personal favorite and I nearly always recommend it to people who are in the market for one. In my opinion of my top 3 it is the most versatile of the 3. It can be used for a seemingly endless amount of situations but I personally tested it mostly when hammock camping. 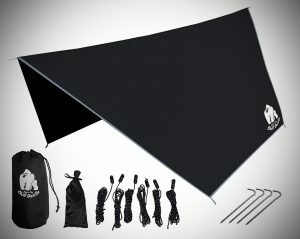 When I am hammock camping I want a tarp that is sturdy and not only protects me from the rain but also the wind. One of the features I like is you are able to have doors which would lower the amount of winds that can pass through, basically this allows for better protection from the elements. It’s the best tarp I have ever used in fact when it comes to that. It is definitely a 4 season tarp that is capable to stand up to snow or ice. It has a very big coverage area. One of the biggest I have used. The material is a nylon which has silicon elements which allows for good insulation and waterproofing. Due to the material being very premium it is a little heavier than its counterparts weighing in it 27 ounces, so that’s worth considering. It also comes with a compact carrying pocket which is handy. 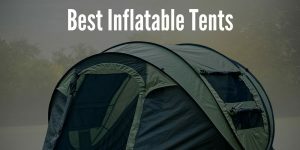 If you are looking for a tarptent that is going to last the test of time then this is surely the best option for you!